Black Girls Magazine is a bi-annual magazine catered to young girls and dictated by young girls. Annette Bazira-Okafor wanted her daughter to see herself in the magazines she would flip through and the dress-up apps she would play with. She recalls the nine-year-old picking up magazines at the grocery check-out and seeing "very little that represents her." But she said she is not shocked by the fact there were few — if any — black girls in the material her daughter would watch, read or play with. "As a mother, I have seen it," Bazira-Okafor told CBC Toronto. "But I realized it was something that was probably way worse than I had actually thought it to be." 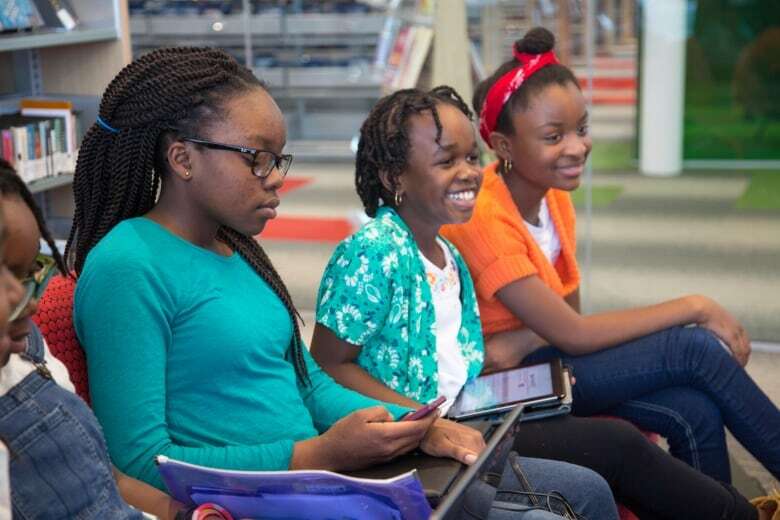 If black girls were not depicted in the magazines they read, then they should write their own, Bazira-Okafor thought. And so they did. 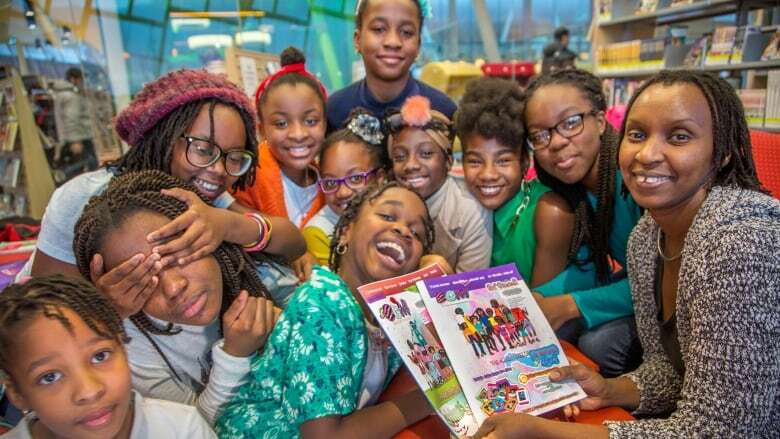 Black Girls Magazine, a bi-annual publication, caters to young girls and is written by them, too. A dozen girls, from the Greater Toronto Area, contribute to the magazine. 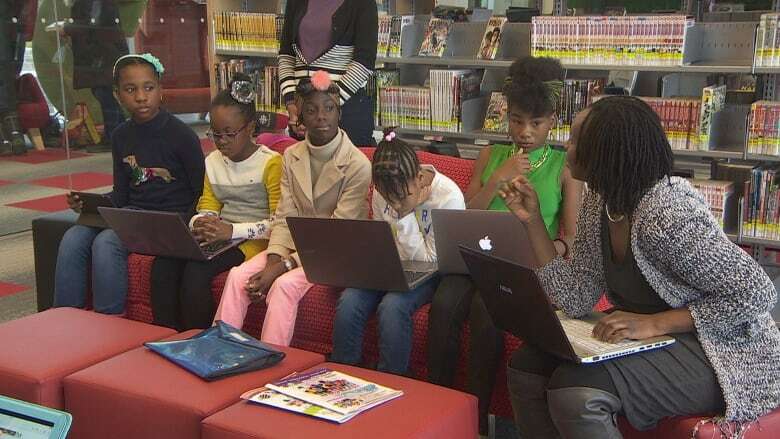 "The fact that they can write and they can draw is a way for them to actually put their own stories, their own experiences, their own images and representations into the mainstream and validate who they are as black girls," she said. 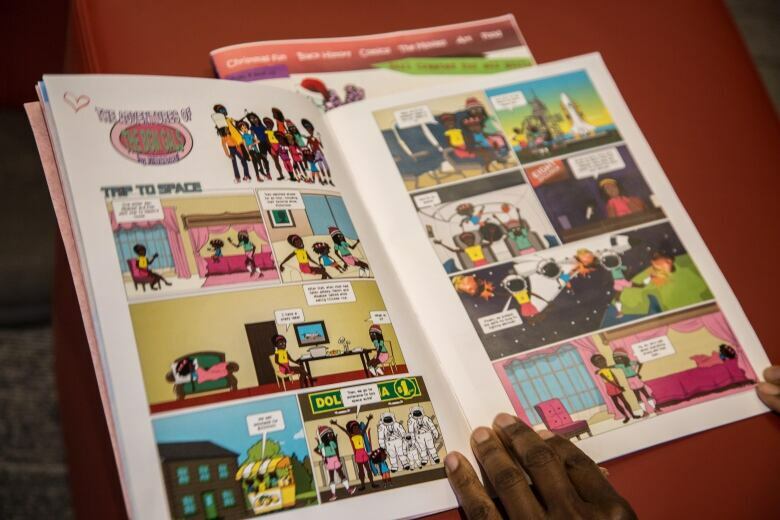 "You open the pages and it has black girls on there and [it] makes them feel like they are important." Chisom Agbakwa, who aspires to be a lawyer, said she can "count a lot more white people than I would find black people" in any popular magazine. She wants to change that. 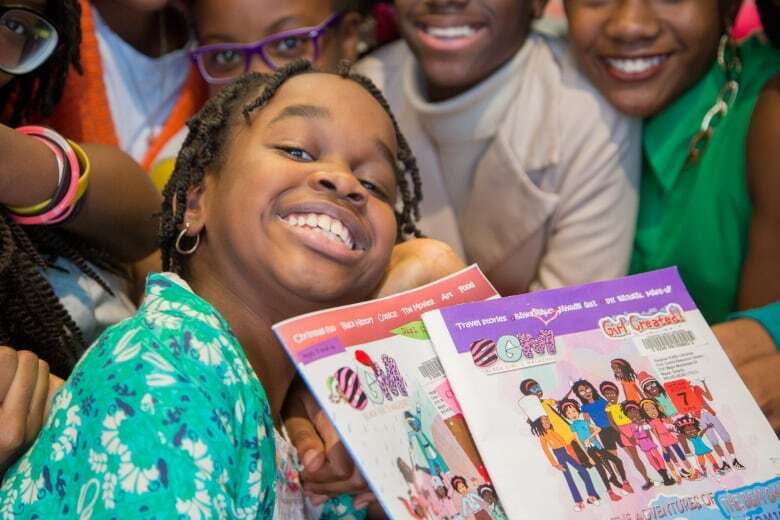 "When we're making this magazine, it's for us to reach out to other black girls and to inspire other girls," the nine-year-old said. "I think it should be a little equal between races. In this magazine, we want to make that different." They want to write about the things they are learning, the places they have been — Nigeria and the United Arab Emirates — and the people they want to be. They are even creating a girl superhero. On a Saturday afternoon, 10 girls cram onto red sofas in the Civic Centre Resource Library in Vaughan, Ont., to talk about their June 2017 magazine. Story ideas whiz back and forth. Kamara Bwejesa, 12, is learning to skate and writing about it is "encouraging me to reach my goals." "If [other girls] are trying to do the same thing as me, they wouldn't give up in doing them." Crystal Smith-Bwejesa said she can already see positive change in her daughter. "What I'm seeing is her being more outgoing and interactive, not only with all the girls but with other people." "I think this process brings confidence to them; that people are willing to listen to their stories and what they have to say." The girls say they enjoy honing their reading and writing skills. "It's fun and it's difficult, especially editing is more difficult because you have to figure out stuff that will make it more interesting," Agbakwa said. Bazira-Okafor said an epiphany of sorts came to her in her readings for her post-doctoral studies at the Ontario Institute for Studies in Education. A particular excerpt in a book struck her: black girls "remain indiscernible and underserved" in the media they consume, it read. 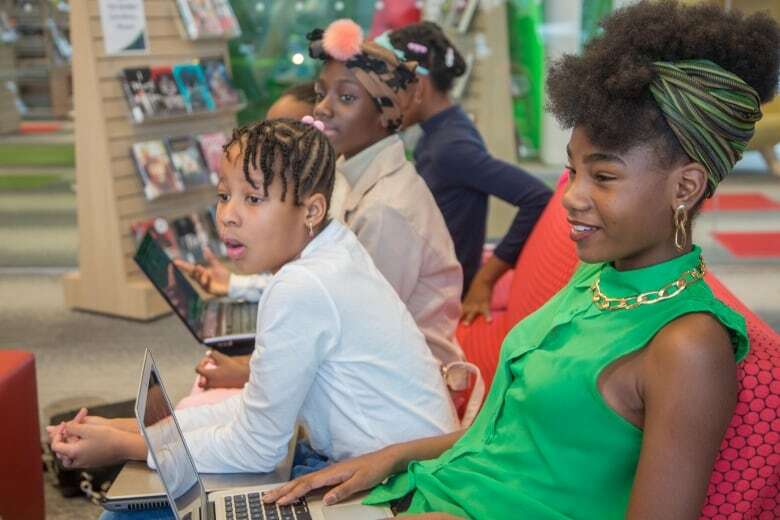 "I just felt there must be something I can do to get the girls involved and to get them to see themselves represented in this media that they so love to use and be a part of," she said of starting Black Girls Magazine, which she fully funds. Eventually, Bazira-Okafor wants to go to print four times a year and is hoping to land sponsors to finance the magazine. She also encourages all girls to pitch stories and write. Currently, the magazine, which started last June, is available at all Vaughan public libraries as well as a handful of libraries in Richmond Hill and Toronto.